This is a continuation, with updates of, a previous blog entitled – LNG – Liquefied Natural Gas & Small Scale Processing Facilities – Action Needed dated 09/24/2017. The DOE passed the small – scale LNG processing facility rule for Florida with 40 of the ‘for’ comments being duplicates which were submitted via the Federal Register. What do we expect in today’s political/corporate climate? Note this is an excerpt of just some of the points in a comprehensive report written by Dr. Fred Millar – please see his full document below for more detailed information. This is also a shout out to Florida’s media outlets. It is your job to let the citizens of Florida know if their lives are threatened. As we know, FERC has abdicated it’s role of regulating these inland small – scale LNG processing facilities “because the facilities do not load directly onto a pipeline or ship bound for foreign ports”. Three Federal Agencies have gone against congressional rules and refuse to regulate these disasters waiting to happen. State agencies simply say “Well it is up to the Feds”. 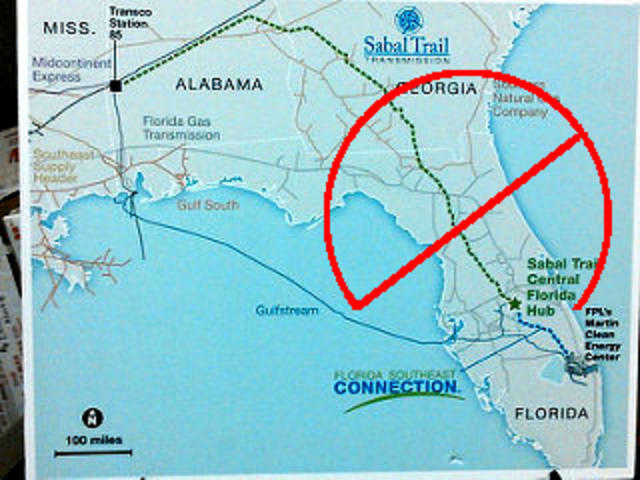 I and others think not – we the people better get a handle on this development before we become the guinea pigs for a bad experiment as stated in the title above and in his paper below by hazardous railway accident expert Dr. Fred Millar who has been working with Florida’s own LNG expert, Cecile Scofield (see bios below). This leaves unregulated train and truck transportation of LNG, siting of LNG facilities, and an emergency response infrastructure not prepared for a disaster of, for instance, a train wreck on the FECL involving LNG being transported to Jacksonville Fla through densely populated areas from Miami to Jacksonville, Fla. All for the goal of exporting fracked gas through Florida to other countries and be damned anyone whose life may get in the oil industry’s way! I do not know about you but I find it alarming that an industry can manipulate the US Government to risk the lives of millions of it’s citizens for the short term profit of a few, evidently including members of our ‘government’. Since the adoption by the DOE of unregulated small – scale LNG facilities this past February, brand new LNG processing facilities are being, sited, and built in Florida on as little as 12 acres. To the alarm of many citizens and First Responders there are no emergency plans or buffer zones between the population and these volatile terminals with some being sited on just 12 acres. 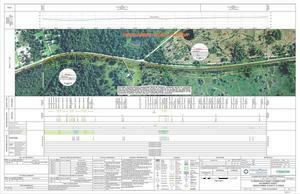 FERC requires a buffer zone of 1 to 9 miles for large -scale LNG – US LNG Export Facilities – and the nearest population. These small – scale LNG processing facilities will be the first of their kind in an urban environment involving the handling of large, unique and dangerous containers of Liquefied Natural Gas or LNG to be transported from inland processing facilities to large ports, such as Jaxport, for exporting to other countries. There is another factor to be considered as these unregulated small -scale LNG processing plants nor the trains and trucks the LNG is transported on are protected from terrorists. In fact in both cases terrorism is a huge concern be it domestic or foreign. 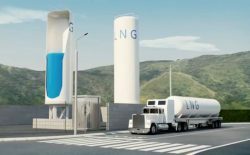 US agencies have quietly approved the first ever railway transportation of pressurized LNG in the lower 48 states and in an urban or populated area. As you will see when reading Dr. Millar’s report below there was one other small pilot program approved in a remote area of Alaska. They are allowing the Florida East Coast (FECL) railway to move daily 40 foot, 21 ton LNG tanks at 70 mph through highly populated areas and on the same tracks that carry the notoriously dangerous 110 mph Brightline passenger trains. All of this through numerous rail crossings where there have already been FECL accidents resulting in fatalities and through the many communities that are along the FECL tracks. Judges and the rail industry itself for many decades considered rail transport of LNG to be such a high risk that it was never allowed upon the railroad system. In fact the Federal Railroad Administration has never designed an approved LNG rail tank car but is now under strong oil industry pressure to do so. This new federal exemption for Florida’s FECL, not only allows LNG to fuel the locomotives but also allows LNG to be transported in attached flat cars with relatively flimsy 10,000 gallon ISO inter-modal containers. Please click continue for Dr. Millar’s full document on this clear and eminent danger to the citizens of Florida. 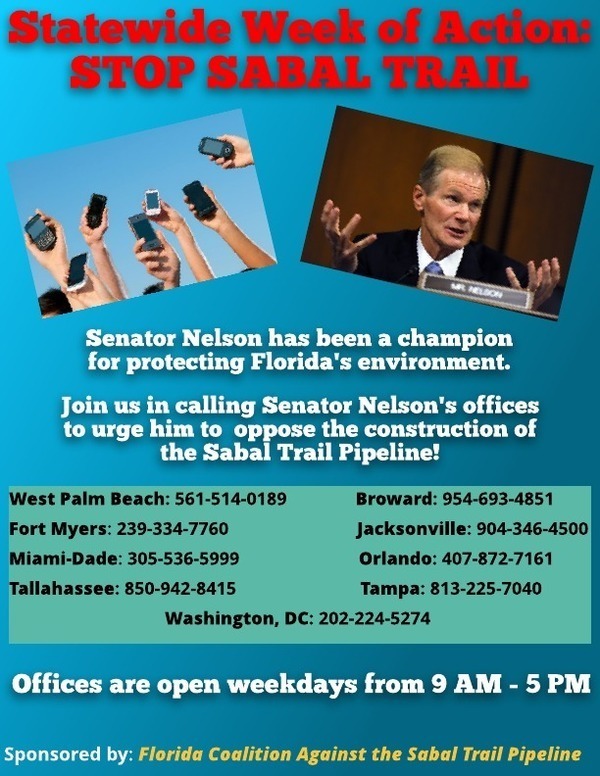 Especially since the Army Corps issued its permit for Sabal Trail last summer, Florida is swarming against that fossil fuel invader like an ant bed stirred by a 600-mile-long pipeline stick. That’s great! However, there’s a lot of duplication of effort. 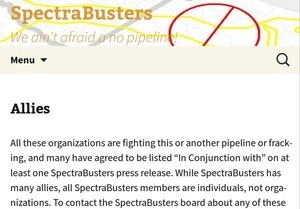 And Florida is not the only place Spectra Energy is gouging its pipes: Georgia and Alabama, too, with implications far beyond. Many eyes watching pipeline construction can catch shoddy work, and even FDEP will step in to deal with the most egregious violations, as Spectra and Rockford for FPL rush to try to finish by May 2017. 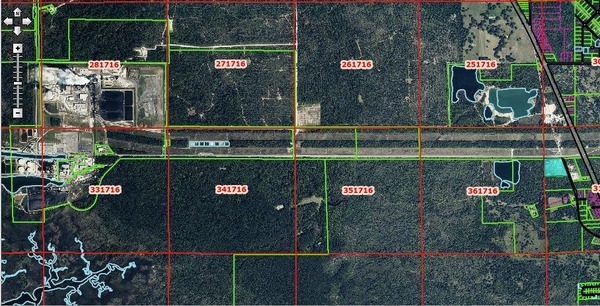 Shannon Larsen’s complaint to Florida Department of Environmental Protection (FDEP) at least briefly shut down destruction by Florida Southeast Connection (FSC) at Ft Drum Creek, just south of Ft. Drum, Florida. On the telephone just now she told me work had indeed been halted.